In an example of how the IoT is changing the relationship of technology suppliers and customers, VIA Technologies is working with the Japan Taxi Co for a Smart IoT Mobility System that integrates communication and connectivity features. 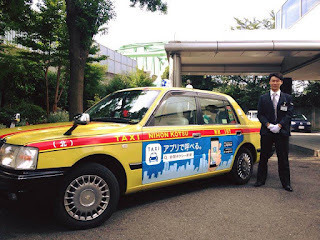 The system was developed by combining the automotive industry expertise of Japan Taxi, the IT subsidiary of Nihon Kotsu, which is the leading taxi group in Japan in terms of revenue, and the hardware development capabilities of VIA to integrate the CAN and GPS requirements. This specification then opens up new IoT app implementations, both locally and in the cloud. 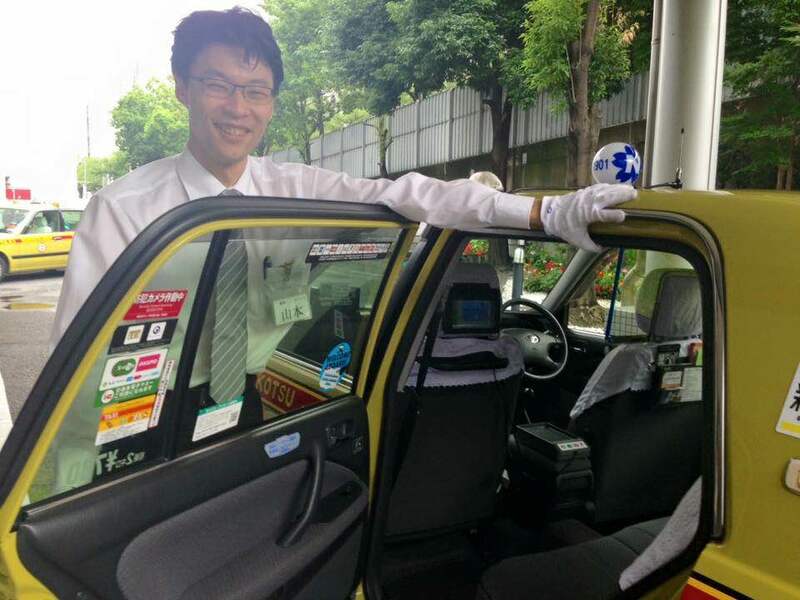 This enables operators to enhance passenger convenience and safety while simultaneously reducing costs through the implementation of smart fleet management and the development of new on-demand passenger services. The latency of switching data is a key challenge for today's high speed networks, and IDT has teamed up with Prodrive Technologies to develop a RapidIO switch with 100ns latency for next generation cellular infrastructure. The embedded devices for these switches will be used in networks running from 750 Gbit/s to 4.8 Tbit/s for next generation 5G cellular networks where the lower latency will open up applications for the Internet of Things (IoT), as well as Mobile Edge and High-Performance Computing applications. The new products are the result of work the two companies have conducted under the charter of the Open Compute Project (OPC) HPC group, which IDT co-chairs. The switch appliances use IDT's RapidIO technology, which is designed in to many 4G LTE networks. RapidIO switches are used to connect computing components in complex processing-intensive systems, including SoCs, DSPs, FPGAs, GPUs and custom ASICs. IDT has shipped more than 110 million ports of its 10-20 Gbps RapidIO switches for use in production networks. In addition to using the second-generation switches, the new appliance portfolio will deploy IDT’s recently announced RXS family of RapidIO switches, which enable ports running at up to 50 Gbps with less than 1.2 W per port and 100ns latency. Initial systems leveraging switch appliances with 38 ports operating at 20 Gbps have been deployed in wireless C-RAN and data analytics systems. Additional products, expected in the latter half of 2016, use IDT’s 50 Gbps-per-port RXS switch silicon portfolio with 19 inch rack-mountable systems. The switch appliances feature scalable modularity with 32 to 96 ports supporting clustering at rack or multi-rack scale for target applications supporting heterogeneous processing with CPUs and accelerators. Multiple switch appliances can be connected in a leaf and spine network leveraging the RapidIO protocol to connect up to 64K processing nodes in a single network. Individual ports can be configured to run at a variety of speeds, including 1, 2.5, 5, 10, 20, 40 and 50 Gbps, and thus tuned to optimize overall system power consumption, depending on application workload. "Taking an open and collaborative approach to developing solutions for Open Compute and OpenPOWER is accelerating and strengthening the development efforts of our broader open community," said Calista Redmond, president of the OpenPOWER Foundation. "IDT is at the forefront as OpenPOWER grows capabilities into edge computing across system and switch resources." The switch appliance products are available directly from Prodrive Technologies: http://prodrive-technologies.com/rapidio-gen2-38-ports-top-rack-switch-box/. The 20 Gbps-per-port versions are available now. Lead customers can contact Prodrive for customized 50 Gbps-per-port solutions featuring IDT’s RXS RapidIO switches. IF the sign of a maturing technology is to move from a hetereogeneous development envinrnment to a homogeneous one, then the announcement today by Linaro is significant. As a collaborative engineering organization developing open source software for the ARM architecture, Linaro's ARMv8 based Developer Cloud brings together silicon, server and software members to provide a cloud-based native ARM development environment to design, develop, port and test server, cloud and IoT applications without substantial upfront hardware investment. Having high performance ARM servers able to service the ARM chips in IoT nodes in theory should provide a more optimised and efficient eco-system to improve performance, bring down costs and drive more innovation. The Developer Cloud is based on OpenStack, using both Debian and CentOS as the underlying cloud OS infrastructure. It will use ARM based server platforms from Linaro members AMD, Cavium, Huawei and Qualcomm Technologies and will expand with demand, and as new server platforms come to market. These platforms will include both single socket and dual socket configurations as well as 10/40Gb networking, scalable storage and integrated accelerators that ARM SOC partners are bringing to market. “Linaro works with its members to provide reference open source software to accelerate the development of innovative applications taking advantage of ARM based platforms”, said George Grey, CEO of Linaro. “As the adoption of ARM based servers accelerates and IoT applications rapidly evolve, software developers need access to hardware and easy to use software reference platforms. The Linaro Developer Cloud is designed to broaden the availability of the latest hardware to developers globally, and to enable commercial and private cloud providers to utilize the implementation to accelerate deployment of their own offerings. Linaro will publish the end to end open source code for the implementation of the Developer Cloud”. Linaro has over 200 engineers working on consolidating and optimizing open source software for the ARM architecture, including developer tools, the Linux kernel, ARM power management, and other software infrastructure. Linaro is distribution neutral: it wants to provide the best software foundations to everyone by working upstream, and to reduce non-differentiating and costly low level fragmentation. The effectiveness of the Linaro approach has been demonstrated by Linaro’s growing membership, and by Linaro consistently being listed as one of the top five company contributors, worldwide, to Linux kernels since 3.10. To ensure commercial quality software, Linaro’s work includes comprehensive test and validation on member hardware platforms. The full scope of Linaro engineering work is open to all online at http://www.linaro.org and http://www.96Boards.org. From 3D printed batteries to security in the Internet of Things, February has been busy in the embedded world. The effects of the Embedded World show in Nuremberg and Mobile World Congress in Barcelona last week have yet to show up in the data, although some of the stories that emerged before the shows are highlighted in the list this month. Data on the deployment of the ThreadX real time operating system shows that it is being used widely in mobile applications, but IoT continues to be a theme that draws a lot of interest. CEVA's latest digital signal processsing core for IoT applications, Atmel moving its encryption key management into hardware and a ferroelectric memory microcontroller that avoids one of the main hacking attacks are all popular stories and highlight the level of interest from embedded designs for the IoT. This also demonstrates that there is significant interest in the higher end developments, rather than 8bit devices such as Atmel's TinyAVR. Running stories through March will be more of the stories from Embedded World, the continuing consolidation in the semiconductor business and how that will impact on product lines (such as TinyAVR when it come sup against Microchip's PIC) and more from the IoT. congatec has launched a range of 20mm thin mini-ITX boards with a low thermal profile for embedded applications. 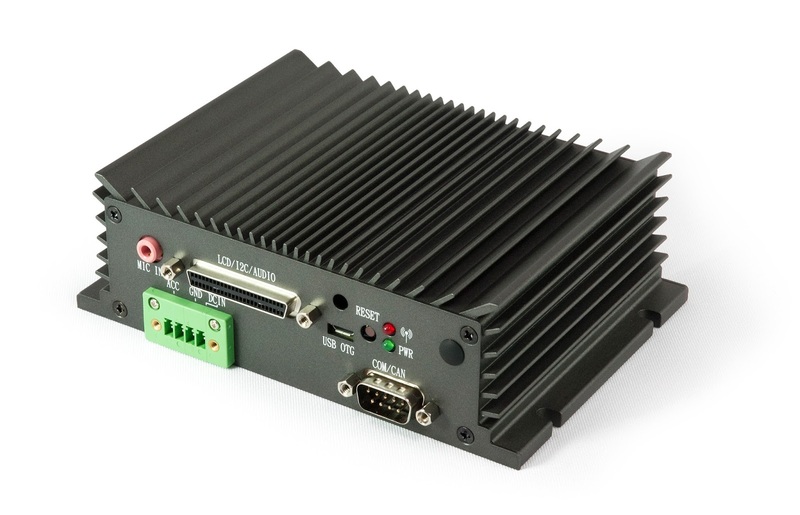 The conga-IC170 Thin Mini-ITX boards scale from .0 GHz Intel Celeron processors up to 3.4 GHz Intel Core i7 processors with a fully configurable thermal design power (TDP) from 7.5 to 15 watts and up to 32GB of DDR4 RAM as well as 4K multiscreen support. These advantages come in tandem with a comprehensive set of interfaces for the direct connection of various industry-specific extensions such as SIM cards, low-cost CMOS cameras as well as cash and card terminals. Long-term availability of 7+ years and a rugged design to withstand harsh environments translate into easier design-in and a more time- and cost-efficient product development process. Applications range from fanless HMIs, control and SCADA systems, powerful and robust kiosk or retail systems, to slot machines and digital signage as well as slim panel and industrial All-in-One PC designs. The optional Smart Battery support expands the range of implementations to include even portable, battery-powered applications such as mobile ultrasound equipment in medical technology. 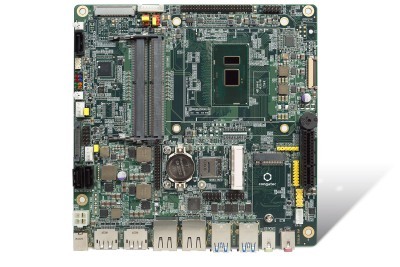 The integrated board management controller and support for Intel vPro technology with Intel Active Management Technology (Intel AMT) increase the reliability of distributed IoT system installations and in many cases make on-site maintenance unnecessary.The conga-IC170 Thin Mini-ITX boards (above) use the dual-core U-series SoC versions of the 6th generation Intel Core processors. The scale starts with the entry-level 2.0GHz Intel Celeron 3995U processor at 7.5W and then ranges from the Intel Core i3 6100U (2.3GHz) and i5 6300U (2.4GHz, 3GHz turbo) up to the Intel Core i7 6600 with a maximum turbo clock rate of 3.4GHz at 15W. Two SO-DIMM sockets support up to 32GB DDR4-2133 memory, providing significantly more bandwidth and better energy efficiency than traditional DDR3 implementations. The integrated Intel Gen9 Graphics supports DirectX 12 and Open GL 4.4 for high-performance 3D graphics on up to 3 independent 4k displays with 60 Hz (3840 x 2160) via 2x DP ++ and 1x eDP with the additional option to configure a dual channel 24bit LVDS interface. Hardware-accelerated encode and decode of HEVC, VP8, VP9 and VDENC video is also supported. In addition to a PCIe x4 slot (Gen 3), the comprehensive set of interfaces also includes 1x mPCIe as well as an M.2 connector that can be used for expansion or an SSD. 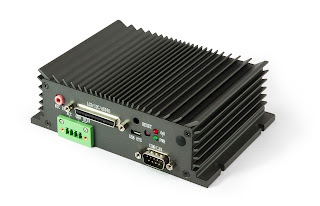 4x USB 3.0 and 6x USB 2.0 are available for the connection of additional peripherals; 2x Gigabit Ethernet and a SIM card socket provide IoT and M2M connectivity; and a MIPI CSI-2 interface allows direct connection of low-cost CMOS cameras. Further industrial interfaces include 2x COM ports, one of which can be configured as ccTalk, and 8x GPIO. An integrated Trusted Platform Module is offered as an optional choice. Hard drives and SSDs can be connected via 2x SATA 3.0, and 5.1 HD audio plus digital audio are also available. All current Linux and Microsoft Windows operating systems are supported, including Windows 10.